As a member of Triangle Marketing Club, you probably now know how much we love our sponsors and appreciate all of their dedication to our organization. It’s truly because of them that we are able to have such successful events every month. This week we’d like to recognize our sponsor, Brasco ///. 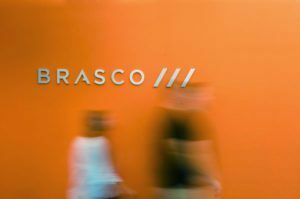 In order to learn more and to properly introduce them to our members, we asked Brasco /// a few questions about their great agency. So, stick around to read what they had to say. Could you give me a brief description of your company? 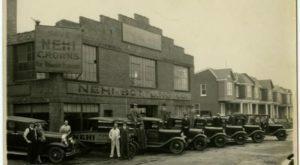 What’s the story behind the beginning of your company? What kinds of customers do you look for? Does your company have a mission statement? What are the overall goals for your company? Is there anything else that you would like the TMC audience to know about your company? Thank you so much for being a loyal sponsor, Brasco ///. We are so grateful to have you as part of the Triangle Marketing Club family, and we look forward to continue working with your agency. Have you ever wondered what it takes to be a successful salesperson? Or, just a great, well-rounded business professional in general? Well, Triangle Marketing Club presenter, Jack Kosakowski, knows just what it takes. During an interview I conducted with him, Jack shared some valuable knowledge relating to his sales experience, and he gave me a lot of great advice. For instance, he stressed the importance of giving back to others, being adaptable with change, networking with smart people, and continuously innovating. I learned a lot about Jack during my conversation with him, and you can too at the TMC event on July 25th. It was a cold Monday afternoon, at least for me anyway. 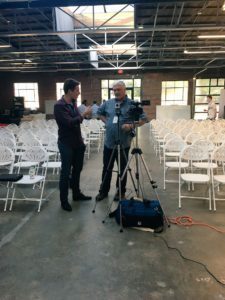 I was in the little town of Willow Spring, North Carolina and was about to call Jack Kosakowski, who was in Arizona at the time, to conduct a speaker interview for Triangle Marketing Club. Despite the fact that Jack will not be presenting at TMC until July, I wanted to talk with him as soon as possible to learn about his exciting career path. Due to the fact that we lived states apart from one another, we were unable to meet face to face, so we decided that a phone call would suffice. After I had all of my interview materials in place, I dialed Jack’s number and eagerly waited while the phone rang. Once he answered, we greeted each other and discussed how we have both heard great things about one another thanks to our mutual connection, Chris Douglas. After chatting a bit, I explained the TMC speaker interview process and then we began the interview. Could you tell me a little about yourself? I was born and raised in Iowa so, I’m a Midwest boy. I currently now reside in Scottsdale, Arizona, and I came out here to go to school. I’m a 12-year sales veteran, I guess you could say, now almost 13, and essentially, I have been in all types of sales. Google pay per click was my first sales job before anyone knew what or who that was. Then, I worked as an assistant director of admissions at a nursing school, so I worked in higher education. After that, I went into manufacturing sales and sold manufacturing equipment for a pallet rack manufacturer, then I got into the world of SaaS. I was with Act-On for about two and a half years. I did about $1.3 million in revenue with the startup and the average deal size was about $9-12k so it was a pretty big accomplishment. I guess, per se, what I found was social selling, or what they call social selling these days, was the real deal. So I was in sales, and then I learned how to become a marketer, and the main reason was because I was selling marketing automation software to marketers. I knew nothing about marketing but knew a lot about sales and then I realized, I can’t sell to marketers until I knew what the hell marketers do. So, I started to understand social media from a marketing perspective and then kind of evolved, left Act-On, and started the U.S. division of a global agency called Creation Agency. And actually, the owner of Creation Agency, which is based out of London, United Kingdom, was my customer at Act-On. So now what I do is run a digital agency of the U.S. division and we have seven of the Fortune 500 as clients. There’s my story in a nutshell. So what led to your desire to pursue a sales career path? I have two degrees in hospitality and restaurant management. I did hospitality for a long time so I worked in every department of a hotel you can think of. Once I graduated college, I was going to go into the management and training program at Starwood Hotels. Right before I was supposed to go in, I met with the manager that was kind of getting me into the program. I looked around his office and saw that he had pictures of his kids everywhere evolving age as they grew up. So I said, ‘Why does it look like you have an evolution of your kids all over your desk.’ And he said, ‘Because I live the life of my kids through pictures. Get used to it that is the lifestyle that you are choosing.’ And I said, ‘Nope, not going to happen.’ So I decided because my family has a background in sales, and they’ve all been pretty successful at it that I would go into sales. I never looked back after that… that wasn’t the lifestyle for me. What is your favorite thing when it comes to working in sales? People. I love people, and I love solving problems and disrupting people’s mindsets. I love to see the outcome as a result of those that listen to me. Outside of work, what do you enjoy doing in your free time? Do you have any hobbies? I love to travel. I just got back from Paris and London. I’ve been to 6 different countries this year. Do you mostly travel for your job or as more of a hobby? Usually it’s for work. The company that I am a partner in they are based out of UK so a lot of times I will go over there. The other thing is that I do some international speaking. I just spoke in Warsaw, Poland a few months ago, and I have a few international gigs coming up in 2017. Yeah, I do. It’s kind of grown on me. It’s a lot of work but, I do enjoy it. I’m running a company so it’s kind of tough to balance the two because it takes a lot of time from the business, but I love it. My passion is educating which is pretty much what I am doing when I am speaking. After connecting with you on LinkedIn, I noted that you stated, “My goal each and every day is to add value to someone else’s day.” How do you go about accomplishing that daily goal? In my role, I’m very fortunate to have a lot of people who want my time so one of the things that I try to be very aware of is giving away my time. It’s a little bit harder to do as I get more successful in business, but I try to give my time to the people that ask for it, amplify my message, or advocate for me personally or professionally. I try to give as many people my time to give back as I can. I get a lot of requests on LinkedIn of people that ask questions and so forth. My thing is just staying connected with the people who are the reason I get to live the lifestyle and generate the business that I do. Could you tell me more about your experience working with the marketing automation company, Act-On? 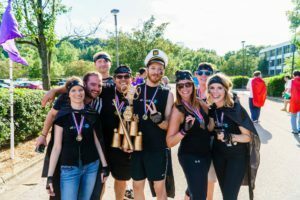 When I started, Act-On had less than 100 employees. They had an excellent product but still today I think they kind of struggle with brand awareness. Some of the challenges were trying to sell a product that was, in my opinion, better than a lot of the competitors but you are trying to sell against brand recognition and trying to convince somebody that what they were seeing was actually real. We do it on a daily basis. If you go out and try to buy macaroni, most people will pay more for the Kraft Macaroni because that’s what they know. It’s a branding thing. So, one of the toughest challenges in sales especially when you’re with a product that is new, a startup, is not a lot of people know about it. Not only do you have to sell the value of the product, but you also have to sell the value of the brand. That can be very tough when people don’t know who you are. There’s a correlation between trust and awareness, and it can be tough to convince people past that. I’d also love to hear about your time with Creation Agency. 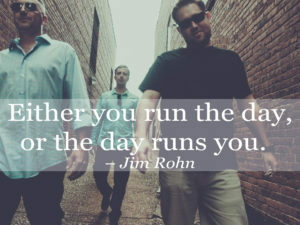 What do you usually do on a daily basis? How do you usually go about keeping up with that change? A lot of times it’s just about understanding what your strengths and weaknesses are and really evaluating what’s best. Not what you think is best, but what does the team as a whole think is best and understanding and educating yourself so you make the right decisions. Because a lot of times what happens is what we think is the right answer, because it is what all we know, is not always the case. So it’s really just being adaptable to change and really listening to people that are around you. If you don’t do that, especially in a leadership role, you kind of stump yourself. You keep yourself from moving forward and sometimes you can be your own worst enemy by doing that. Since you have a lot of experience using a marketing automation system, what is your opinion on the use of these systems? That’s actually the main source of business for our agency. So what we do is run the marketing automation for companies. We are usually the team behind, for example, IBM we run their marketing automation in Europe. We believe that marketing automation is not a “nice have” anymore it is a “must have.” If you’re not tying all of the different things you are doing in the digital world into one major source where all of the data flows, and you can’t market to your buyers or potential buyers on a one to one level based on their behaviors, then you are in big trouble in 2017. Do you see that a lot of agencies are starting to implement that through their practices? Or do you see that a lot of agencies are still behind in that category? Agencies are very far behind. Now, companies are starting to get it, but they don’t really understand all of the moving parts that are involved in order to be successful with marketing automation. Most people are sending an email or they are using one or two little components of marketing automation, but they don’t have the strategy, and they don’t have everything built around the strategy that they need to have a maximized true success through marketing automation. With all of your experience, do you have any advice for marketing professionals such as myself? Get around really smart people and have mentorship, especially for your age group in college. Get around the smartest people that you possibly can and give away your time. Trade value for value. A lot of time what I see… exactly what you are doing right now. You’re doing some internships and working with a really smart guy who has learned the ropes. Get to know the right people, work in the weaves with brands and companies that are using marketing automation, and learn every aspect. Just eat up every single piece of information and apply it while you can. There’s nothing more valuable than learning and applying at the highest level at your age. So, you’re going to go really far for learning what you know right now because of your mentorship. On the other spectrum, what advice do you have for someone who has been in the industry for a while? You never stop innovating. I think if you want to get the competitive advantage, and you want to stay around long term, you have to understand that you never know everything. What you are doing always is going to change, and you need to change before everyone else figures out that they need to change. Use innovation as your competitive advantage. Without giving away too much of what you plan to present at the TMC event, what is the most important thing that you hope the TMC audience will learn from your presentation? One of the things that I really want to get across and educate on is the power of digitally surrounding your buyers. So, being valuable everywhere that they live and encompassing that as a strategy. 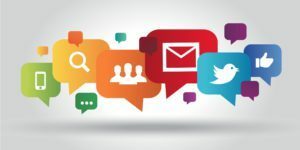 I think where a lot of marketers struggle is that they think they are going to do social or they’re going to do email, and what they do is they pigeonhole themselves into a strategy that is siloed. So understanding how to be everywhere at all times and stay in front of your buyers six months before they even know that they are ready to buy and do it in a way that organically brings the buyer to you over time when they are ready. After the close of my interview questions with Jack, he mentioned to me that he enjoys knowing who will be in attendance at his presentations beforehand so he can tailor his message to the audience. He likes to research what companies the members are with, what are they doing now, and what should they be doing. Jack uses the audience’s own personal data to personalize the way that he presents. I was given this amazing opportunity to pick Jack’s brain with multiple questions to learn about him and his fascinating career. Now, it’s your turn. Go ahead and connect with him on social to let him know you will be attending the TMC event on July 25th. You can find Jack on LinkedIn, Twitter, Facebook, and Instagram. Also, check out his awesome Youtube channel! 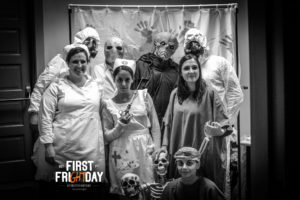 You may wonder how Triangle Marketing Club pulls off such great events every month. To start, we have a spectacular team who devotes a lot of time and energy into making each event a success. Although, these individuals aren’t the only ones who are dedicated to our cause. Triangle Marketing Club has a great list of sponsors who contribute to the success of our organization. Specifically, we would like to recognize Adapt Partners for their sponsorship with TMC and introduce this awesome group to our members. 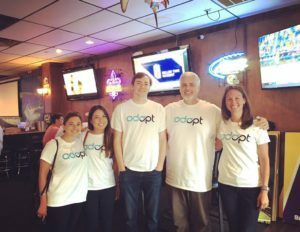 We can always count on seeing part of the Adapt Partners’ team show up at our monthly networking events. So if you haven’t gotten a chance to meet some of them, be sure to introduce yourself at the next event on November 29th! Adapt Partners is a technical SEO agency located in Cary, North Carolina. You may have heard of them before or have noticed their name on Moz’s Recommended List. They are among this elite list because of the hard-work and talent that they have demonstrated over the years. Of these 50 companies known for their SEO and Web Marketing, four are located in North Carolina, which includes Adapt Partners. Being placed on this list definitely sets this company apart from the rest and acknowledges them for their superb SEO talents. Although they are a full-service agency, their primary focus is on SEO. Adapt Partners has 3 full-time people on their team with a background in technical SEO, one being the CEO and the other two at the director level. Adapt Partners assures that each account team has a full-time dedicated technical SEO member with more than 10 years of experience. When a client chooses Adapt Partners, they are guaranteed to have a talented team to help them along their journey to success. Adapt Partners creates customized packages for each of their clients. Each package is based on the specific needs of their client. For example, if a client is interested in a particular service, then they would incorporate it into their client’s retainer. Once the services are chosen, the client then would purchase a certain number of hours per month. This company is very passionate about their clients and will do what it takes to lead their customers to success. Prior to working together, Adapt Partners wants to fully understand their potential client’s business and goals. They firmly believe that if they aren’t helping their customers succeed in business, then they aren’t succeeding as an agency. Adapt Partners does not limit itself to only working with a specific target industry. In fact, they work with clients ranging from Fortune 500 companies to small mom and pop stores. The clientele of Adapt Partners is very committed and must understand that it takes time to see true results such as ROI from SEO strategy. Before a business can see any improvement, it might take months of sustained effort and dedicated strategy to boost an online presence for that company and maximize ROI with SEO. 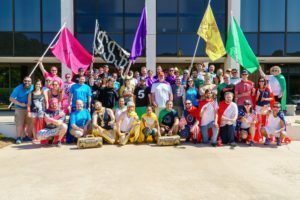 Do You Want to Work at Adapt Partners? Adapt Partners is searching for a project manager to join their team. Check out the position here. 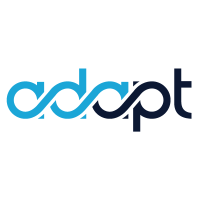 We love having you as a sponsor, Adapt Partners. Your dedication to our group does not go unnoticed, and we are thankful for your constant support. Triangle Marketing Club will be welcoming software architect, Drew Robison, on November 29th. At the event, Drew will be discussing how we should be building our websites in order to produce better leads. This is going to be a great presentation by a very talented computer science expert with over twenty-five years of experience. Drew’s journey began at Slippery Rock University of Pennsylvania where he earned his Bachelor’s Degree in Computer Science. He chose this career path as it was the big upcoming job at the time, and he believed it would be a great adventure for him to explore. After graduating, he worked at the Research Triangle Institute, RTI International, where he held the position of research and development engineer. Within this position, he was given the opportunity to work with agencies such as State Bureau of Investigation, NASA, and the Department of Defense. A month after he concluded his work with RTI International, Drew began working with the Institute of Academic Technology at UNC Chapel Hill. He worked there under the title of Multimedia Support and Technologies Manager. Drew has worked on a lot of really neat projects over the years. For instance, he was able to be part of a project that utilized technology in order to help train people who are blind. They were able to utilize audio technology by taking pieces of audio and video and capture each of the frames. Drew and his team at UNC created a clip maker that was designed to piece together all of the clips to help train people who were not able to see. Another project that Drew took a part of was writing the drivers for the multimedia extensions in Windows. A prime example is when he and his team wrote a video driver for the first multimedia extension. The video driver was created as a means to link a display adapter to an operating system such as Windows. Another project example that demonstrates his success within the field is his work on the creation of the precursor for the very first browser. After working at RTI and UNC for a number of years, he decided to begin his own company. 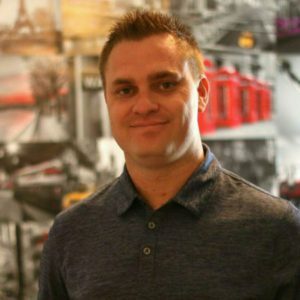 Drew was very well known around the nation for having the ability and knowledge on how to convert multimedia, so starting his own company would be a great investment. According to Drew, he saved up his money and purchased a big PC that had Photoshop capabilities providing him the opportunity to kickstart his company. 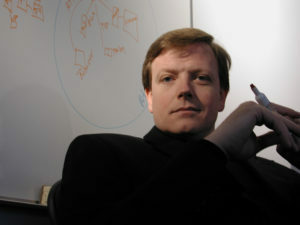 He had the opportunity to speak about multimedia at several different universities and then launched BP Studios in 1994. Drew really enjoys taking the talents that he and his team at BP Studios have and being able to apply it towards people who may need their skills and knowledge. For example, they have used their talents to help people with disaster relief needs. He noted that he loves seeing technology being used to help manage those type of events and seeing the outcome which brings people together and helps those in need. Drew values the use of technology for the good of the community and bringing his team together to make a difference in multiple aspects of community involvement. After years of experience within the industry, he can attest to the engaging and rewarding aspect of the job. Drew noted that he enjoys having the opportunity to always learn something new within this field. His self-motivation to push himself further in his career as well as desire for learning new skills has contributed to his success. Drew hopes that the TMC crowd will gain a lot of insight from his presentation. Most importantly, the ability to be able to understand the complete picture, from beginning to end, of the B2B sales engagement life cycle in an automated way. So come out to the event and learn about how you can create better leads through your website. 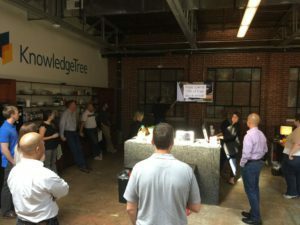 Once every month, typically on a Tuesday, our outstanding group of marketers meets at an awesome workspace to network, listen to a great presentation, snack on some delicious appetizers, and drink yummy beverages. However, Triangle Marketing Club can’t take all of the credit for such great monthly events. We owe a lot of thanks to our wonderful sponsors! One sponsor in particular that has been a tremendous supporter of our events is KnowledgeTree. We are so grateful for them and the great space they provide for us all to relax and network every month. If you haven’t gotten a chance to check out a Triangle Marketing Club event and see their company’s space, come out to their facility on November 29th and see for yourself! So what is there to know about KnowledgeTree? Well, I got to find out first-hand from Senior Marketing Manager, Shelley Cernel. KnowledgeTree helps sales teams know what to say next to advance any prospect. The solution uses predictive analytics to analyze which content works best for any sales situation and automatically pushes winning content to where reps work — in their CRM and email. Also, KnowledgeTree helps marketing teams identify gaps in their content library and gain insight into what content is advancing deals and how. As a result, they are able to optimize their content creation efforts. They work by their mission statement, “We help every sales team know what to say to advance any prospect,” which allows them to provide the best content and guidance for their clients. KnowledgeTree was founded as a content management solution. According to Shelley, the company identified one of their customers doing something “particularly interesting” with their solution. Meaning, they were assessing the Return on Investment, ROI, and tracking the content performance. As a result, they realized that this analytics-driven approach to sales content was a massive market opportunity that their company could easily embrace. The two primary software products offered are KnowledgeTree Launchpad and KnowledgeTree Fusion. KnowledgeTree Launchpad provides a web-based, enterprise-grade application for storing, managing, and sharing sales enablement and marketing content. KnowledgeTree Fusion assesses which sales enablement content is most effective for any sales situation. It pushes those recommendations to reps where they work. 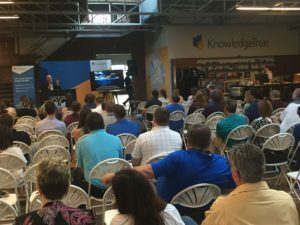 Specifically, they created KnowledgeTree Fusion as a software to address the market opportunity for incorporating the use of analytics and sales content. Like other companies, KnowledgeTree loves their customers. Their clients tend to have growing or large inside and field sales organizations. Specifically, hyper-growth companies such as Zuora, RingCentral, and RealPage all depend on KnowledgeTree. As customers of KnowledgeTree, they are guaranteed to receive constant support with their sales processes and relevant content for their sales reps.
We really appreciate all you do for us, KnowledgeTree. We wouldn’t be where we are today without you and your fantastic team! On October 25th, the Triangle Marketing Club will be welcoming Tera Simon, an NC State alumnus. You may have heard of her before as she has been asked to speak at many conferences around the United States and will continue to do so throughout the rest of this year. We are really excited to have her present at this month’s event and share her project management words of wisdom with us. So, if you haven’t RSVP’d yet, you should do so now! So, what is there to know about Tera Simon? To start, she is an avid reader. If you see her waiting in a line somewhere, I can assure you that you will find her reading a new book series on her kindle. She also enjoys working out at Flywheel and playing on her two kickball teams every Tuesday night. Tera is also a die-hard NFL fan. Currently, she is in fivefantasy football leagues and continues to dominate in one league in particular as the only female. Not only does she love NFL football, but she is a college football fan as well. 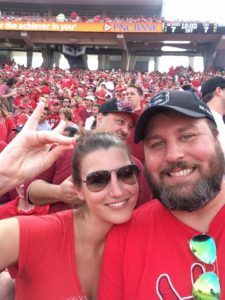 As a big Wolfpack fan, she tries to attend every NC State football game to support her alma mater. So, if you’re like Tera and love football, swing by Lonerider Brewery after a great game, and try the “Sweet Josie” drink as it is based off of Tera herself! What about Tera’s journey to project management? She was in a class with the guys, and they asked her to join the team to add a female perspective to their new sports broadcasting show. She started answering calls and patching people through to the show. Then she began to answer the callers on air and would add her own personal opinion as she knew a lot about sports. As a result, they ended up gaining a lot of listeners. To this day, the show still exists with the unique characteristic of having three guys and one girl. Through this opportunity, Tera showed that girls actually do know and understand sports. During her senior year of college, she had an internship with NBC 17 which led to a job offer from her boss who started his own production house. She began working as an editor and onscreen talent for a television show that came on before NASCAR. It was then that she realized she didn’t want to be on camera. However, these opportunities made her realize her love for planning and facilitating anything that was complex. She took a job with another local production house which is where she really began her journey with project management. 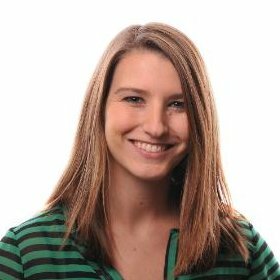 She enjoyed traveling so working at Centerline Digital was a perfect fit as she could work at events and with video production. Later on, she moved to New York where she pursued her new dream in project management at a video game company. 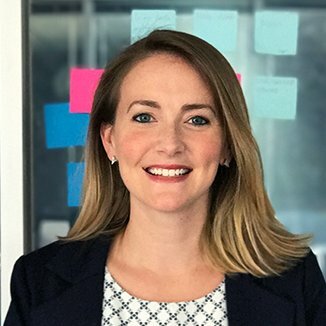 At this company, she worked on a super cool project that helped influence high school students that accounting and finance can be fun. The project was to create and build a video game to be used in around 450 schools as an educational piece for high school students. The video game was created as a six-week high school course curriculum assignment. Different schools would compete against each other and the winning teams would be offered scholarships to college. According to Tera, over the four to five year time frame that they included the learning game, they saw about a 5-10% increase of students who decided to major in business accounting. 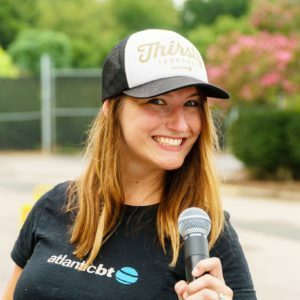 Five years later, she returned to Raleigh and has been working with Atlantic BT ever since. She oversees the entire client engagement side of the company and handles a lot of their business development tasks. What makes Tera the perfect fit for a position in project management? Naturally, Tera has all the desired characteristics for being in a project management career. She has always been a go-getter and extremely organized. In addition, she’s an extremely good communicator which is another important characteristic of a great project manager. With over 15 years of experience, Tera has continued to explore her passion of project management and use her natural traits to excel in the field. She understands what it takes to succeed and knows exactly how to apply those characteristics. For example, she can read a room extremely well and can steer a conversation or relationship in the right direction. However, she isn’t afraid to do what it takes, even if it means having difficult discussions with her clients or protecting her team. Tera loves building relationships with her clients along with teammates. Even after the projects with her clients are completed, she continues to maintain the relationships with them afterward. Another factor that has led to her passion in project management is knowing that there is not a single project or a work day that is the same. Whether it’s watching something come together as a whole or working on different projects every day, she finds this particular career path very gratifying. She has always enjoyed the rush of facilitating the ins and outs of the many projects that she has worked on over the years. 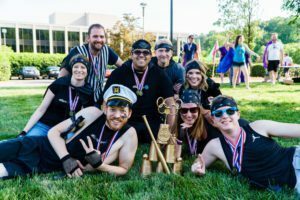 How does Tera celebrate a win or a project accomplishment? While we were talking, Tera made it clear to me that when you are working with a client or your production team, you should always celebrate a win. Even if it is something small, acknowledge the success of your team. It can be as simple as bringing in a small treat for everyone, such as Krispy Kreme donuts like Tera often does. When it comes to big projects, do something special and incorporate a fun activity that the whole group would enjoy doing. Tera suggests to plan a nice dinner where everyone can relax and not have to talk about work. She also recommended that it’s great to invite spouses and significant others as a thank you and to acknowledge that you appreciate them just as much as your teammate. Tera’s last advice when it comes to celebrating an achievement is to always include your clients. They too play a significant part in project completion. It’s important to continuously build your relationships with your clients and stay with them through all the project stages, even the celebration. So, is project management for you? 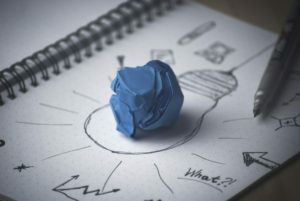 Do some research about the subject, check out this TMC blog about project management, attend the event this month, and reach out to Tera. If you have some of the same characteristic traits and you enjoy watching things come together from start to finish, you may be a great fit as well! Project management requires a lot of hard work, but in the end it is completely worth it to see the final project come together and to be able to celebrate each accomplishment with your team and clients! Don’t miss out on a great opportunity to better understand how to manage your clients’ expectations and learn more about project management from an experienced professional like Tera Simon! Her goal is to help you understand what it takes to set the right expectations for your clients and understand how to determine and manage their scope. So, what are you waiting for? RSVP and come out to our next event to hear Tera present on this topic! Plus, follow her on Twitter and connect on LinkedIn! 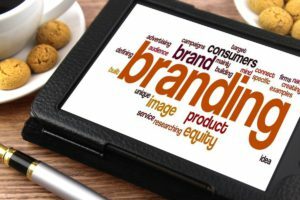 As a marketer, it is extremely important to understand the concept of branding. So, what better way is there to learn about branding than from a talented branding expert like Dean Logan? I certainly cannot think of one. Of course I had a million questions about branding that I would have loved to ask Dean, but for the sake of time, I had to keep it to a decent amount. Excited to learn more about branding, I first started off with a pretty basic question, “Do you think there is a big difference between branding and marketing?” He told me that he believes there is a difference between the two and explained what it is that differentiates one from the other. He described that branding creates an emotional reaction in the audience through actions, words, and imagery. As for marketing, it is a way of getting those things in front of the target market just at the right time for them to express that desired reaction. To sum it up, he said, “They’re related and close cousins, but they are not the same thing.” His example was that you could create the most beautiful landing page, but it doesn’t matter if anyone sees it. With that being said, it’s the responsibility for marketers to create traffic to that page which consists of the right people. To establish a strong brand, brands need to ask themselves, “What do we want our customers to expect from us. What’s the thing we do that makes our customers say, ‘That is so them. '” The good brands do just that. They let those questions be their compass and guide them on the right path. Dean emphasized that the biggest, most important thing about branding is the emotional reaction that is associated with it, “When you hear the name of a company you immediately have an emotional response.” To continue further explanation, he pointed out the Amazon Student sticker on my laptop. He explained how the emotional reaction can be simple as the instant association of Amazon’s products being affordable and their shipping that is quick. My next question, “How do you go about making a brand unique and stand out from its competitors?” His answer, “Find out what it is about that company, product, or service that is different from their competitors. Then build a brand around that.” However, he mentioned this could be extremely difficult to do, especially in parity industries that sell similar things. As a company, it is important to find that one particular thing that makes you a differentiator. With that in mind, think of the branding difference between Uber and a new teeth whitening toothpaste. In Uber’s case, people love the experience, but they don’t care at all what the logo looks like. On the other hand, with a whitening toothpaste people do care about the look of the brand. Companies need to have a clear idea of who they want to be in the minds of their audience. The successful companies have a core message, and they stick to it in the way they advertise, how their products are packaged, and how they act on social media. If it all points to that single message, then they’ll most likely be successful. Think of when JCPenney hired Ron Johnson, who formerly worked for Apple. Ron came into the store and attempted to make it hip by turning the store around. It ended up being a complete brand disaster because the changes were not consistent with the company’s true brand and message. As a result, they wasted millions of dollars. It’s very important for brands to stay consistent with the messages they send. Not only through message consistency, but also in their tangible assets such as the logo, brand colors, and the overall design. For example, one of the first things I noticed when I arrived at ALPHA Marketing to interview Dean was the table in the conference room. It was broken up into four sections with each a different color of the company’s branded colors. Companies are perfectly capable of having a consistent brand operationally, but they often lack in this area through parts of their organization and within their marketing channels. It’s important to pick the right channels that make a good fit for your branding message. Dean continued to explain to me that it is really important to find where you want to be and to not ignore it. So often companies make, for example, a Twitter page, but then they don’t actively use it. Dean also mentioned that it’s important for brands to have the right resources that their company needs. He went on to say that digital somehow got associated with being cheap, but in all actuality, that is not the case at all. After I received some of Dean’s insight on branding, I asked, “Do you have any examples of companies that have naturally done really well at branding itself?” Outside of Disney and its extraordinary brand success, he noted that there are is definitely not a shortage of companies that have branded themselves really well. To give me an example, he mentioned theDollar Shave Club. In everything that this company does, they add a reverent humorous tone to all of their messaging. It all started with the founder who previously was a standup comedian. He created a hilarious promotional video that went viral. 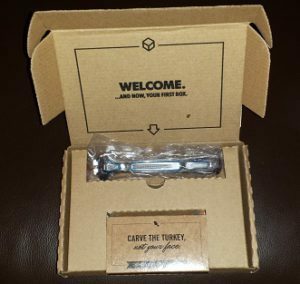 The company maintained the disciple to stick with a consistently funny tone and expanded to other marketing channels. They want their target audience to get a good laugh, whether it’s when they receive the products or follow the social media platforms. How are the successful brands evolving? Dean says it is the realization that in addition to their social media and digital footprint, they need to deliver something to consumers. For example, the way a product arrives in someone’s mailbox or something memorable that happens in the store and makes an impression, can make a significant impact on consumers and increase brand awareness. We live in an experience economy, and marketers are testing what works and what doesn’t. For example, Disney invests significantly in customer experience by creating a magical, amazing experience for all who attend their parks. On that note, during our meeting together, Dean put his trademark on a fantastic idea. He thinks that it would be a great idea for there to be a children’s hospital that is run by Disney. This way Disney can give the children in the hospital a magical experience and lighten their spirits. Dean believes that within the next few years, people will begin putting more of their marketing dollars in experience driven occurrences. For instance, a company could provide something cool in an event sponsored tent that gives people a memorable experience. He gave me specific examples of bands who not only played music for their fans but provided an experience. (I highly recommend clicking on the hyperlinks below to view some pretty sweet videos and interactive experiences). Arcade Fire – Reflektor: This video is interactive and immersive, so you need your smartphone to sync with your laptop camera. Click here for the interactive version. Arcade Fire – Neon Bible: Want to see the interacting version of this song? Check it out here. Overall, Dean thinks that in the future brands will not completely abandon traditional, but they will expand and invest more money into more engaging things like those stated above. He also thinks that brands will start to partner with one another to elevate and strengthen consumer experiences. As an example of this, think about if Lulu Lemon and Apple partnered up to create an engaging fitness experience for people. It would be pretty cool and most likely would be successful. Curious as to how Dean comes up with such creative ideas, I asked what steps he goes through when designing something new. His answer was as follows, “I’m old school.” He begins drawing sketches because computers can easily make a bad idea look good. Once he finishes sketching, he then picks 2 or 3 strong directions, steps away for a little while, and then comes back to review them. After he completes his sketches and determines his top 2-3 directions, he uses digital tools that allow him to do things that he couldn’t have completed as quickly with the sketches. He develops his strong ideas until they are in a finished place that he can present to his client. Most of the time he uses this method to weed out the good ideas from the bad. However, he sometimes will skip the sketching phase when an idea pops in his head that is already pretty finished. This isn’t rare since he has been working long enough in the business, so the pieces just naturally come together. He also keeps his software skills up to date, which is always beneficial. 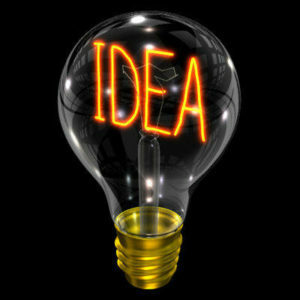 Dean recommends to fellow creatives to draw sketches out of their ideas first. This way they can put more details into their ideas. I then asked, “When creating a logo, how do you know where to start?” Dean responded with saying he first talks to his clients to get a solid idea of how they want to appear to their potential customers. “There’s no proven method. Every creative is different,” Dean adds. This just happens to be the way he goes about designing a logo. He asks them if they want to look progressive, modern, traditional, friendly, light and humorous, or serious and to the point. Sometimes what they express isn’t always right for their target audience. To visually know where to start, he needs to know the emotional reaction his client wants their customers to have. After that is determined, he goes through his designing process. Just from our hour-long meeting, I learned a lot about branding from Dean. It was a terrific opportunity, and I certainly look forward to listening to what he has to say during the September TMC event. You too have the chance to hear what Dean has to say during his presentation, Embracing The Change: How Brands Must Evolve To Stay Relevant. So, don’t miss out on hearing a great branding presentation by the talented, Dean Logan. Having both a fine arts degree as well as a computer design degree made for a pretty strong resume in the marketing field. Dean’s first real job was at a design company. At his new job, he was sent to an empty corner cubicle where he was then instructed to take an unopened Photoshop box and work his magic. The rest is history. 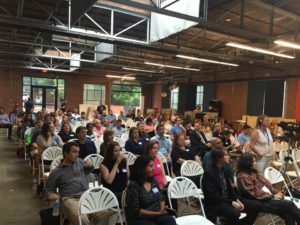 On August 30, Triangle Marketing Club will be hosting a networking event with Brad Grantham as the speaker. Brad is a media and public relations professional with a lot of experience. Luckily for me, I was given the pleasure to meet him and pick his brain. In talking with him about his exciting career, Brad told me that in media and PR it “all comes down to solving problems quickly and to doing whatever it takes to get the job done” – a practice that defines his approach. Brad is a diehard LSU fan with a passion for music. He enjoys “attempting” to play the guitar and loves going to U2 concerts, so much so that he has already attended over 25 shows! Upon meeting Brad, I quickly learned what a great sense of humor he has. For example, I witnessed first-hand his impressive Bill Clinton impersonation. Brad told me that his dream job is to be a cast member on SNL, and I think he would do excellent in that role since he can easily make others laugh. Brad grew up always wanting to be in television news. He made that dream a reality at the age of 15 when he began working behind the scenes at WAFB-TV in Baton Rouge. During college at LSU, he worked as a morning radio host and as a DJ and also worked on the assignment desk at WBRZ-TV. 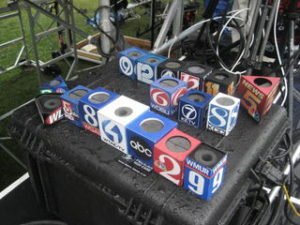 On top of his multitude of general news memorabilia, Brad has also collected over 800 microphone flags throughout his career. He has worked at multiple news stations, including the following: WBRZ-TV, WNCT-TV, WRAL, and WBBJ-TV in roles ranging from assignment manager to news director. He also worked for PR and advertising firms in managerial roles in New Orleans and Baton Rouge. Currently, he is working as an Associate Vice President at the four-time “Consumer Agency of the Year,” French/West/Vaughan. I was curious as to why Brad chose a career in media and public relations, so I asked. He responded by explaining how he always wondered what made things tick and finding that out was fascinating to him. He wanted to know more about the way TV stations worked, and what makes a good story. As a public relations and media professional, Brad raises awareness for his clients on various media platforms. He said that he spends about 80% of his time with general media and PR, while the other 20% is spent dealing with crisis situations. Although he enjoys both, he believes that crisis response and management is more second nature to him. Technology is changing the face of crisis management in public relations, making successful response even more important and, at the same time, more rewarding. I was curious about the importance of relationships in the world of PR, and since Brad has so much TV experience, I asked. His response makes a lot of sense, especially in today’s market. Brad believes in relying on a network of support to quickly get the job done, no matter the cost. Obstacles are minor annoyances – you’ve got to be the problem solver clients can depend on at all times. 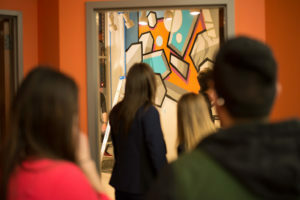 He noted that it is vital to not only make connections but to also form meaningful relationships with people. He also mentioned that you could never have too many media contacts, because people move and change career paths, so having a deep portfolio of professional connections is really important. Brad considers a great relationship to be more than just a phone call or an email pitch. Instead, it should be one where you help each other out even if it’s giving the other person a tip without getting something in return – they will remember that in the long run. Not only should you build relationships with other professionals, but most importantly, your clients. 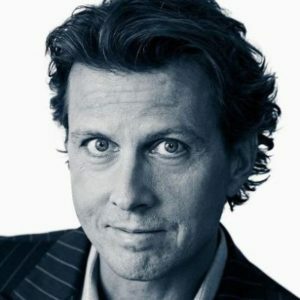 Brad taught me that every client is different and handling delicate matters within public relations varies per client. The biggest takeaway is to establish a deep trust with your client very early on. His explanation for why this is so valuable is because he wants his clients to know they can call him at any time, 24/7. This accessibility creates an openness between him and his clients. Brad is committed to doing anything for his clients, to always having their back, and to helping them handle any situation. With trust and an open line of communication, there tend to be no surprises between the PR specialist and the client. Like most fields, there are always some highs as well as lows. In this profession, companies tend to need general PR services when a big product launches, for branding, or during any big events. On the crisis side, usually 9 out of 10 times, clients reach out after the crisis has happened. In Brad’s opinion, below are a few listed examples of PR that has gone right or gone wrong. So, what was the most rewarding project that Brad worked on within his career? Brad told me about a time where he worked with the company, Zatarains, for the 125th Anniversary Crawfish Boil (The worlds largest at the time, held outside the Mercedes Benz Superdome). All of the proceeds went to charity, and it turned out to be a very successful and rewarding event. It was even aired on CBS, CNN, and the Today Show. They didn’t stop giving back there, however. After Hurricane Sandy hit, they brought a U-Haul truck filled with Zatarains and fed 4,000 people in Staten Island, NY. How about the most challenging thing that he faced through his career? February 5, 2008 – the super tornado outbreak that hit West Tennessee, including the Jackson area, where Brad was a news director at the time. An EF4 and EF3 tornado came through Jackson, demolishing over 10 dorms at a local university and numerous neighborhoods, including his own. He didn’t know for some time if his wife was alive or dead and still had to push through to make sure his news crews were safe and the reporting of the news never stopped. Many slept on floors in the newsroom for days after and never left – they just kept going. He was proud of the resiliency of his news team, a team that ended up being nominated for an Emmy for their nonstop coverage against larger television markets like Nashville and Memphis. This commitment to making sure that stories are accurate and timely, even under extreme duress, stays with him to this day. Hearing Brad discuss some of his stories and talk about his career, it was very obvious to me of how strong his passion was for this line of work. Not only did I get to hear about what he has done over the years, but I also got a short preview of Brad in action. While we were talking, Brad had to answer a crisis call from one of his clients. Cool, right? I definitely thought so. Curious as to what are the top important factors that should be included in a good general PR plan for a company? Brad believes that the following 4 points are key to success. As you come up with a strategy, think of how the plan will target the audience that your client’s company needs to be targeting. 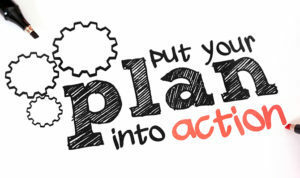 You should also determine how you are planning on executing the strategy and create a clear timeline. Furthermore, it is essential to have a good idea on what that return on investment, ROI, would be for what you are proposing. To discuss what nobody ever wants to – bad things that will arise that could turn into a crisis. Discover what crisis planning could take place now. To talk one-on-one with Brad about their specific scenarios after the presentation. To hear his awesome voice impressions. See him give Chris some LSU trivia questions. So, what are you waiting for? Go RSVP for the event to listen to a fantastic PR expert. You and your company will leave with insider tips on dealing with the media, and how to prepare your organization for crisis scenarios. Also, check out Make It Memorable by Bob Dotson. Brad said it is a great book about video storytelling, and he highly recommends it. See you on August 30th!